The official report from the second Machine Advisory Committee has been received. 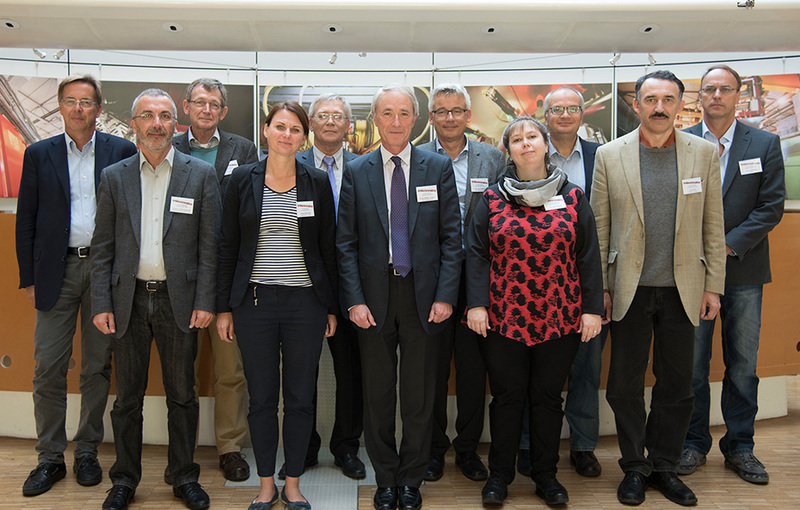 The MAC meeting was held at the ESRF on 24th and 25th September. Over the course of the two days, the APO and the work package coordinators involved in the ESRF-EBS project presented their progress to the panel of experts, who considered everything from the planning to the technical implementation and commissioning. As a priority, comments and recommendations from the previous MAC meeting in April were addressed. The MAC was pleased to hear that the procurement of significant elements of the project such as the magnets and vacuum chambers was underway, and noted that a lot of work had been accomplished, thanks to the strong support and motivation from all the ESRF divisions. The MAC is pleased to see significant progress since the last meeting in April: the design of components is close to being finalised; pre-qualification of magnet and vacuum vessel suppliers has been carried out and calls for tender are in progress.